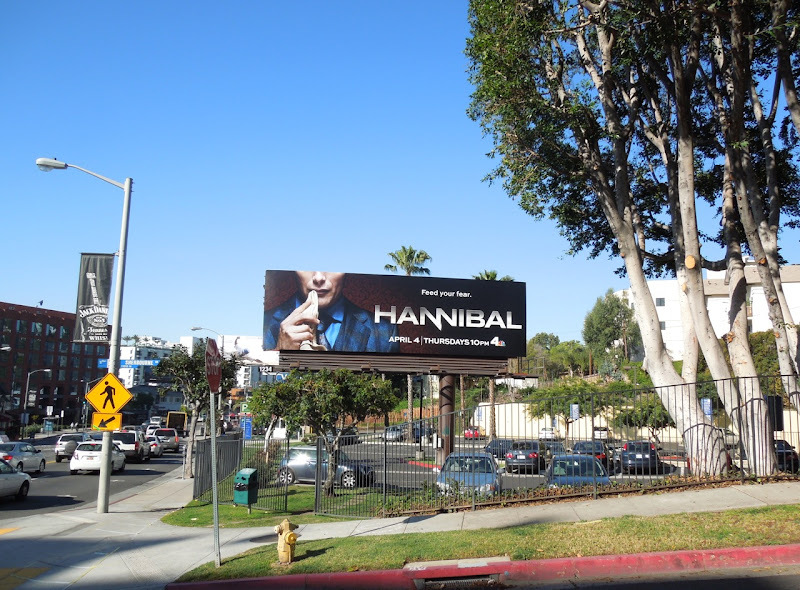 Struggling with ratings, especially with its drama programming, NBC has dug deep for some established movie brand credentials for its new crime series Hannibal. The network is not the only one to raid the film vaults for inspiration this season, as A&E also has its own prequel show based on Psycho's Norman Bates unique relationship with his mother in Bates Motel. 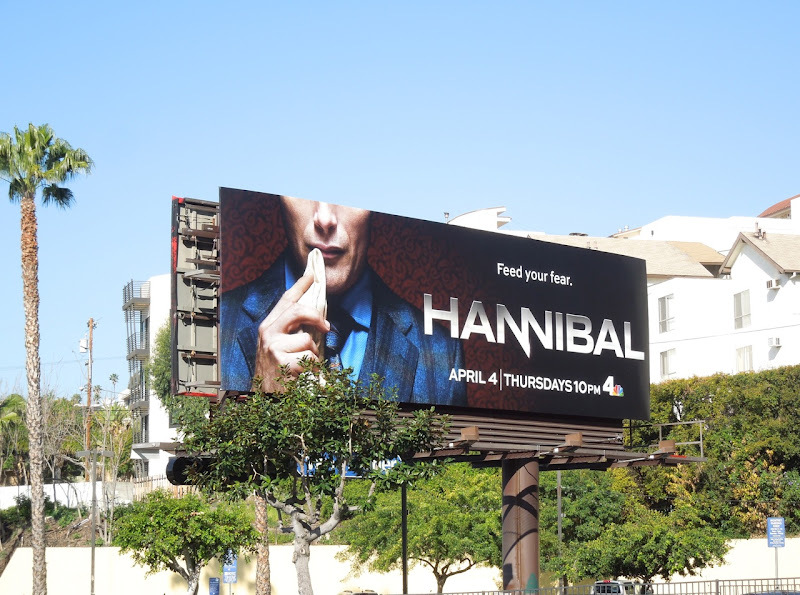 Bringing the psychiatrist-turned-cannibalistic-serial killer to the small screen is none other than Casino Royale Bond villain Mads Mikkelsen, who certainly brings a creepy quality to the 'Hannibal Lecter' role, made famous by Anthony Hopkins in his Oscar-winning performance in 1991's The Silence of the Lambs. 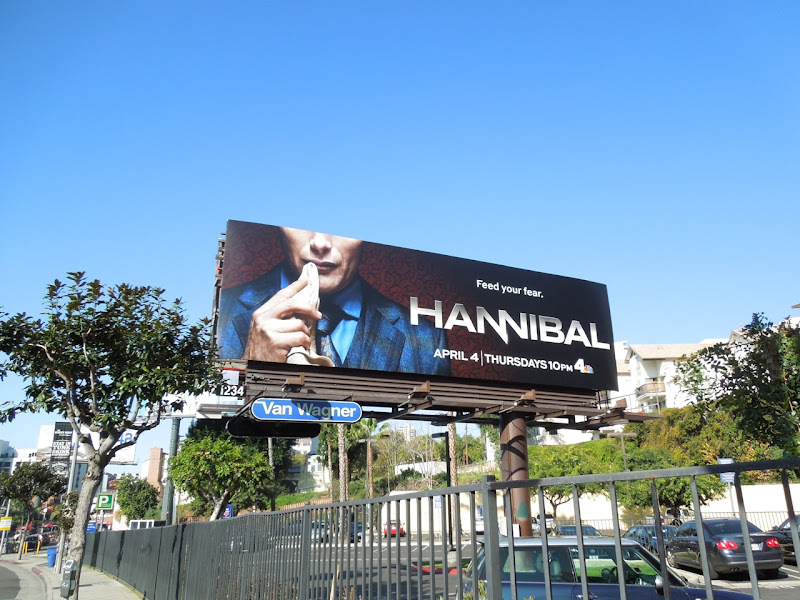 The thriller series helmed by Bryan Fuller will explore the early relationship between the young FBI criminal profiler, 'Special Agent Will Graham' (Hugh Dancy) and the infamous Dr. Lecter from Thomas Harris' best-selling novels. 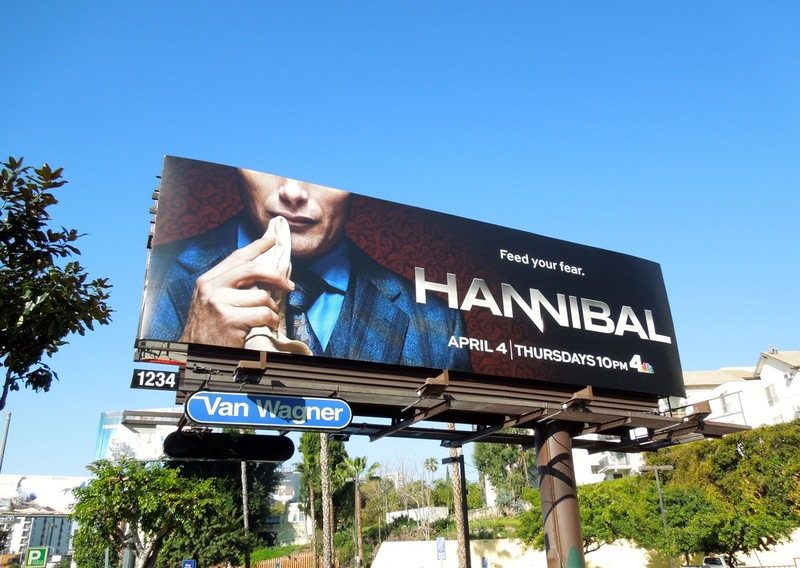 This tongue-in-cheek billboard creative, spotted along Sunset Boulevard on March 12, 2103, certainly evokes memories of Lecter's polite cannibalistic appetite from the movie franchise. 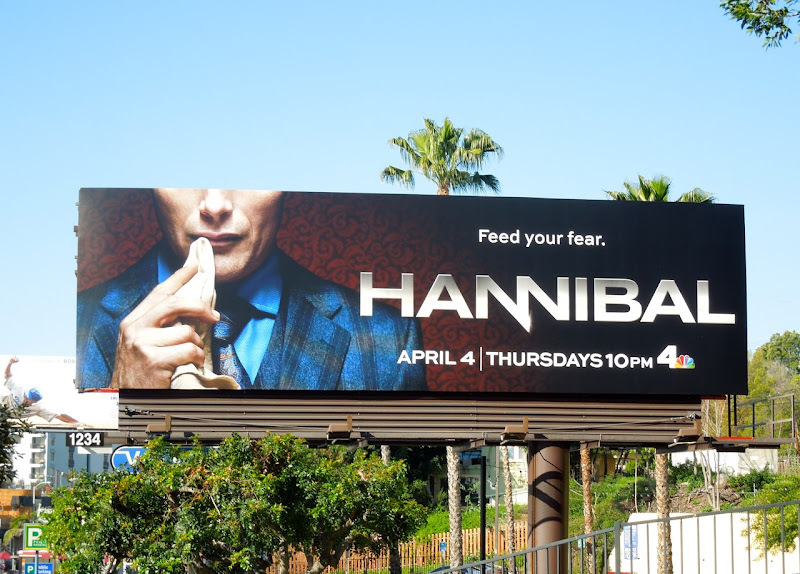 NBC surely must hope to emulate the success of Fox's recent Kevin Bacon serial killer hit The Following, but only time will tell whether audiences will bite and Hannibal will work as a weekly TV show.